On Thursday, five years after publishing the last installment of the Harry Potter series, author J.K. Rowling is trying to work her magic on another reader audience – that of adult novels. 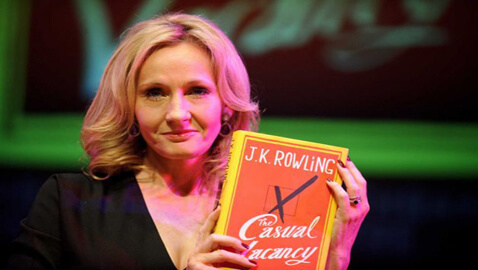 According to analysts, the novel, ‘Casual Vacancy’ is guaranteed to be a bestseller in Britain, United States and other countries with an English readership, as Rowling’s name should be enough to attract millions of buyers. The ‘Casual Vacancy’ is published by Hachette Livre division Little, Brown. It has already attracted huge press coverage, but apparently, Rowling plans few appearances besides the one in London on the day of launch.